Black and white houses surrounded by roads and trees from another time and place. Part of Seletar Camp, the RAF's most important air base in the Far East. These remaining buildings, which brought together military and civilian life, could just be the most interesting colonial conception. 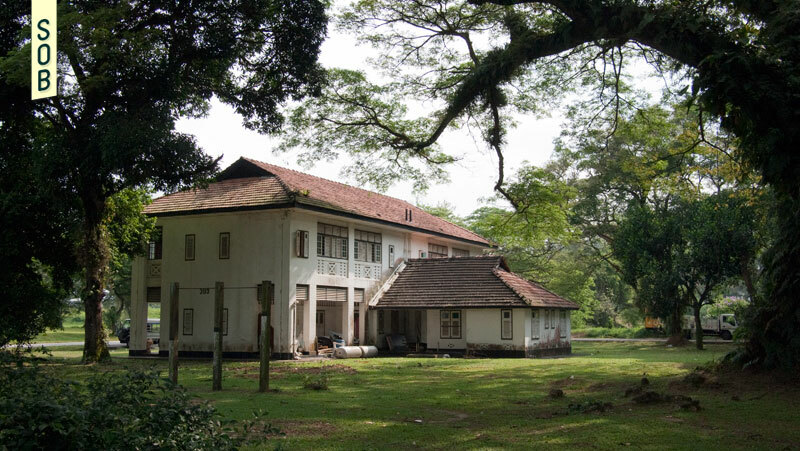 In 1923, the decision was taken to locate an up-to-date Royal Air Force airfield and fly boat base in Singapore. 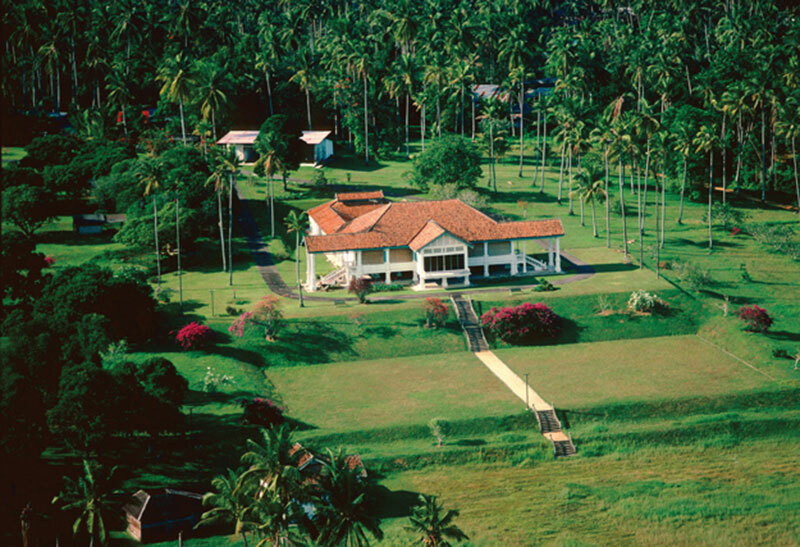 The site approved was to be at the north of the island, well clear of the exposed southern coast and Keppel harbour – the assumption being that the north coast was well protected by the Malayan jungle, and any attack on the island was sure to be from the south. 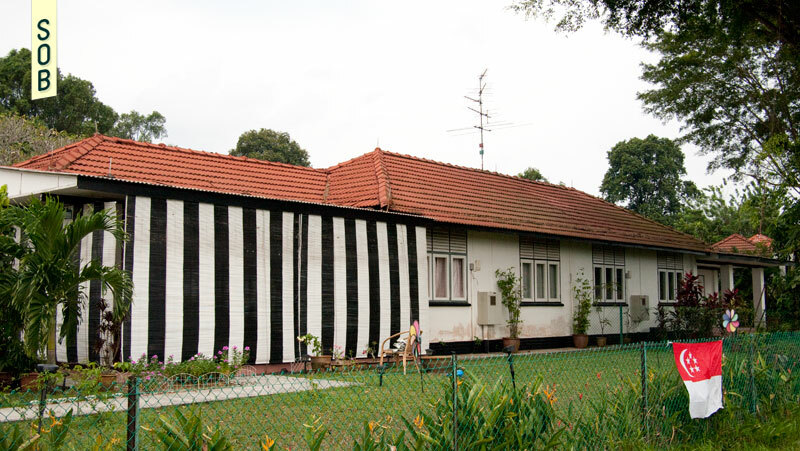 Sited between Sungei Seletar and Sungei Punggol, the area around the air base eventually became known as Seletar – a Malay word meaning ‘leading to the straits’. By 1928, the necessary land was cleared, infrastructure laid and the first military structures erected. Despite the camp becoming an official RAF station in 1930, it had been a single posting for airmen, with no accommodation for families. 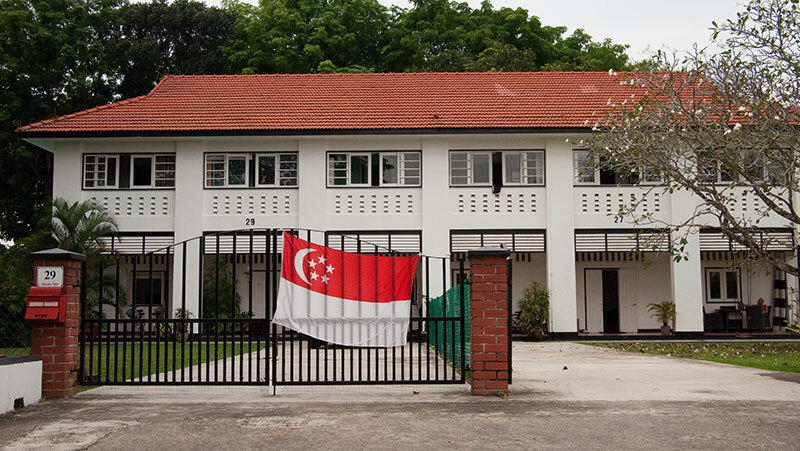 It was only in 1933, with the building programme in full swing, that twelve families arrived to take up residence at Seletar, thus establishing Seletar’s first “married patch” at the newly completed houses in Birdcage Walk. Gradually, the camp’s entire Southeast grew into a self-sustainable town for airmen and their families. 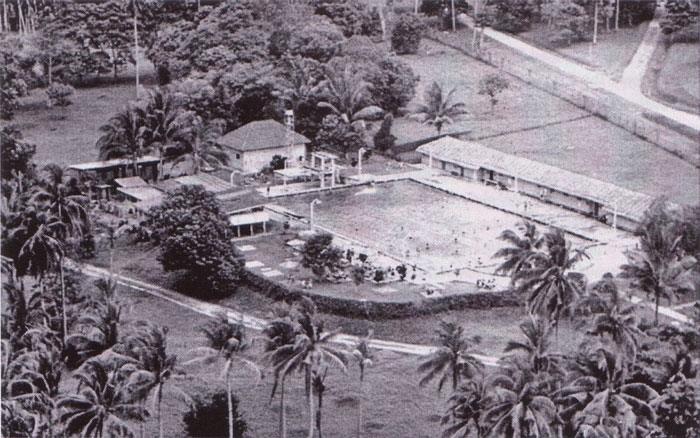 Known by some as Seletarville, most of the facilities were complete by 1949 with roads taking on names of famous London streets. 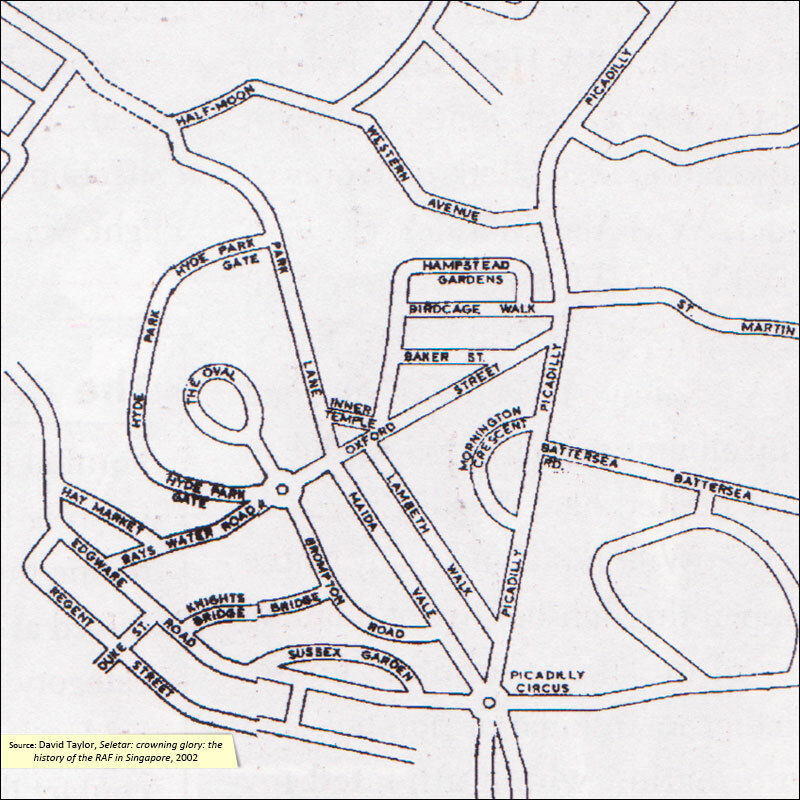 Oxford Street, Birdcage Walk and Lambeth Walk, for instance, were addresses for sixteen SNCO’s and 108 married airmen. At Mornington Crescent, a pavilion and tennis courts had been built, while Park Lane was the residence for the Base Commander and other senior officers. 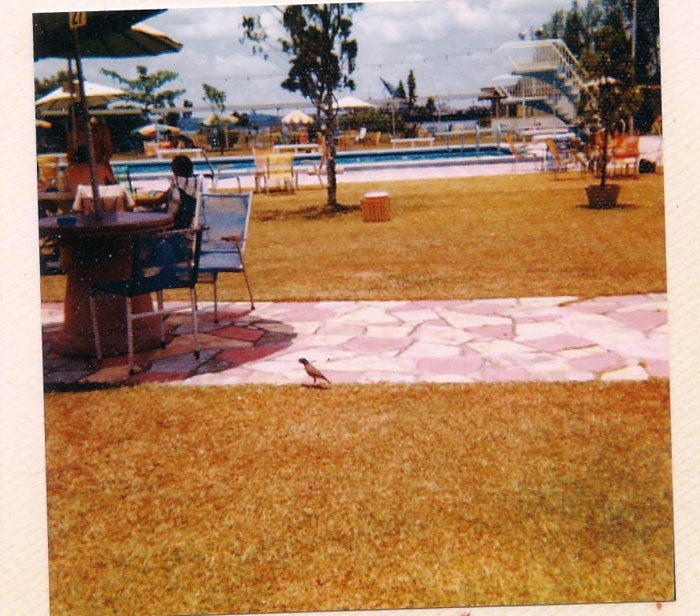 Along Piccadilly was not only a milk-bar and tailor’s, but the Astra cinema, Theatre Club and Seletar Social Club. 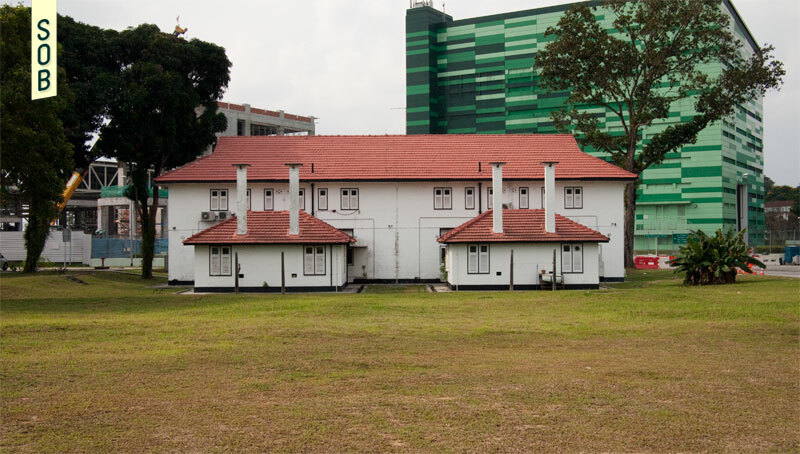 When British forces withdrew in 1971, the military section of Seletar Camp was handed over to the Singapore Armed Forces, with Seletarville retained for residential use under the purview of the Singapore Land Authority. In 2009, construction of a new Aerospace Hub in Seletar began. 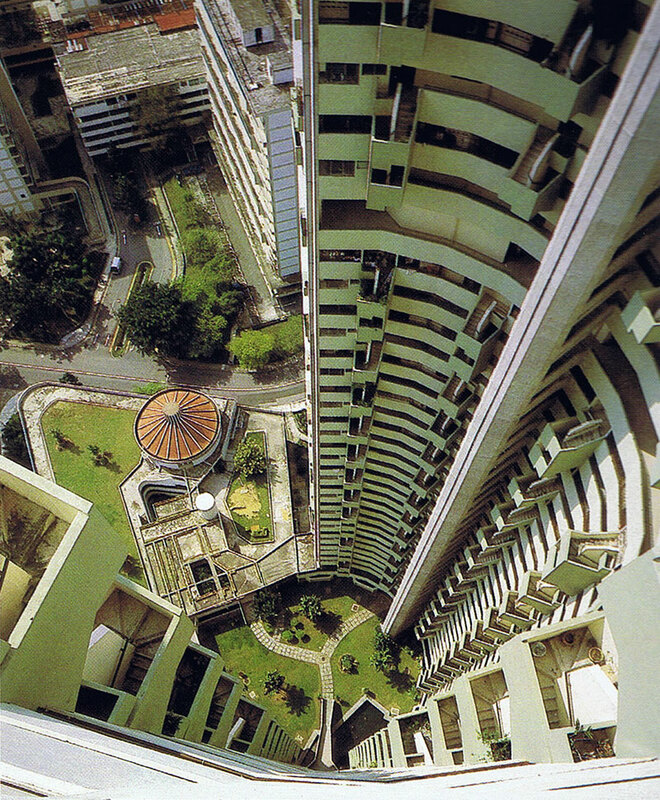 While it mostly affected the Seletar West Camp, around 174 of the 378 residential buildings were demolished. Even so, the remaining buildings, urban fabric and forestation is enough to give future generations some idea of life in Seletar Camp; let us hope the demolition ends there. 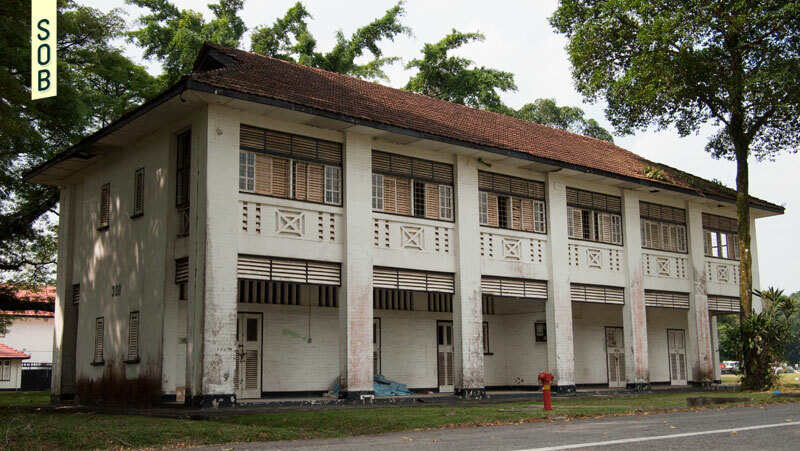 In 2014, the Urban Redevelopment Authority of Singapore announced that part of the 'Former RAF Seletar' will be gazetted for conservation. 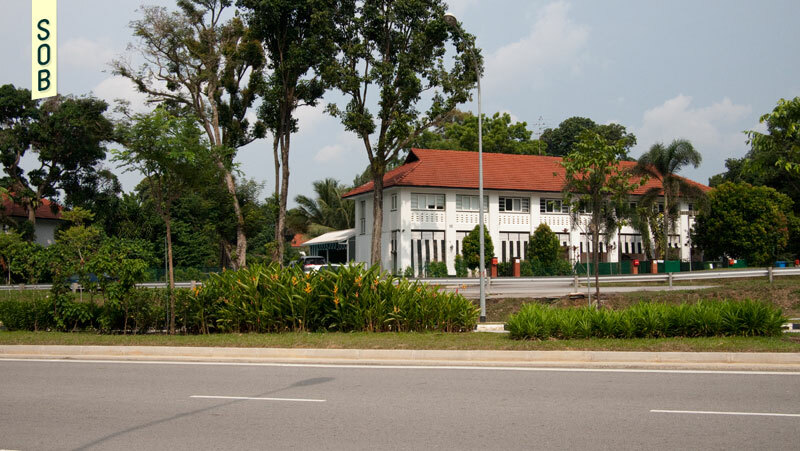 These include mostly buildings north of the old Bayswater Road / Oxford Street, or present day Seletar Aerospace Drive.